Chili’s – Free meal, Nov. 11 2015. Chili’s is offering all military veterans past and present their choice of any lunch combo, or your choice of a dinner meal from a select menu, including any full-size flatbread. Offer only available at participating Chili’s in the U.S. only. Dine-in from limited menu only; beverages and gratuity not included. Veterans and active duty military simply show proof of military service. Denny’s, Nov. 11, 2015. Free Build Your Own Grand Slam® on Nov. 11, from 5 a.m. to noon for all active, inactive, and retired military personnel. Participating locations only. Please call ahead. Golden Corral – Free meal, Nov. 11, 2015 (5pm – 9pm): The 15th annual Golden Corral Military Appreciation dinner will is available to any person who has ever served in the United States Military. If you are a veteran, retired, currently serving, in the National Guard or Reserves, you are invited to participate in Golden Corral’s Military Appreciation dinner. 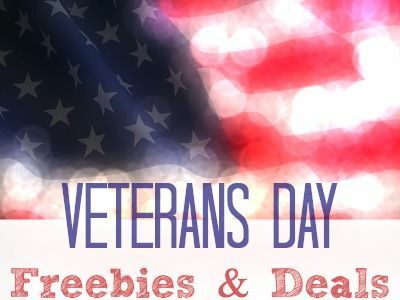 McCormick & Schmick’s Seafood Restaurants – free lunch or dinner, Sunday Nov 8, 2015: McCormick & Schmick’s is celebrating their 17th annual Veteran’s Appreciation Event on Sunday, November 9th. Veterans will be able to choose a complimentary lunch or dinner entrée from a special menu. Veterans must provide proof of military service. Be sure to contact your local McCormick & Schmick’s as this is valid at participating restaurants only. Also, space is limited and reservations are highly recommended. For more information visit: McCormick and Schmick’s Veterans Appreciation Event. Olive Garden, Free entrée, Nov. 11, 2015. Offer good for veterans and active duty military; proof of service required. Locations. On The Border, Nov. 11, 2015. Veterans and current servicemembers will receive a free choose 2 or choose 3 “Create Your Own Combo”. Dine-in only, proof of service required. T.G.I. Friday’s, Nov. 11, 2015. Free lunch for all current military members and veterans from 11:00 a.m. to 2:00 p.m. Valid ID or proof of service required. Dine-on only at participating locations. Be sure to contact your local T.G.I Friday’s for details. free admission to active and former military and veterans and a 30 percent discount for accompanying friends and family. Saturday, Nov. 7 and Wednesday, Nov. 11 in recognition of Veterans Day.